This tree's trunk is ambiguous. Is it simply painted and decorated with ribbon for an occasion? 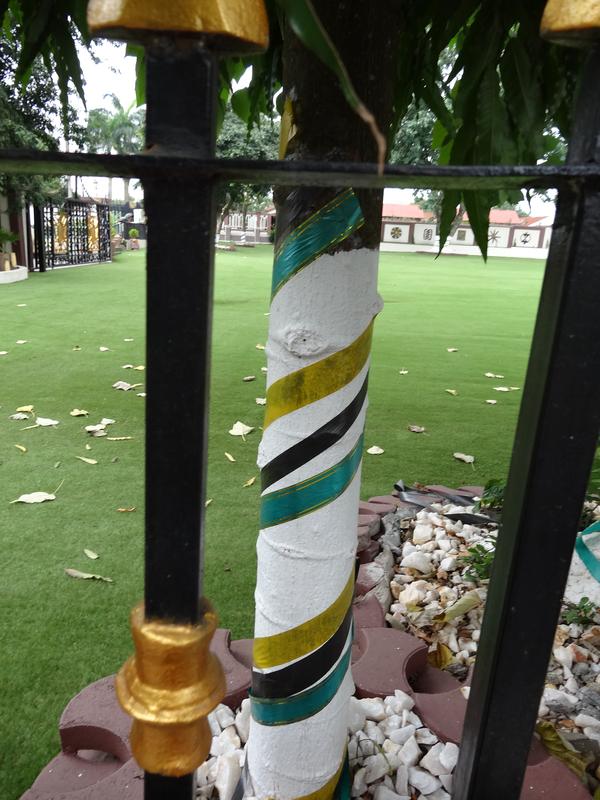 In West African Anglophone countries, the colonial British often painted lower tree trunks when landscaping administrative or other public places, and post-colonial governments have often continued this habit. On the other hand, Asante gyedua, or trees of reception, were wrapped with white calico as gifts to the spirit of the tree.